Green Room - Queen's Hall. The home of the performing arts community. 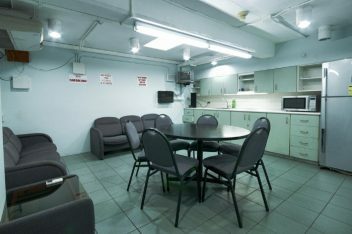 The Green Room is provided to the cast and crew to relax and have refreshments before and during load-in, rehearsals and performances. 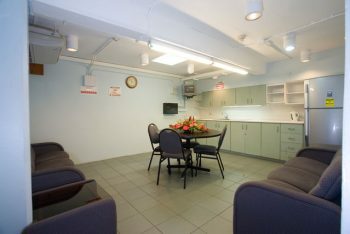 Amenities include a refrigerator, micro-wave oven, kitchen sink, sofa and dining table as well as a video monitor.